Examples, solutions, videos for High School Math based on the topics required for the Regents Exam conducted by NYSED. The following diagram shows how to factor using a modified AC method. 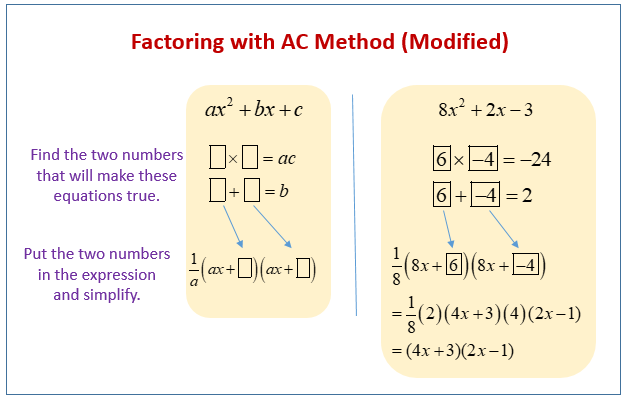 Scroll down the page for more examples and solutions of factoring using the AC method.